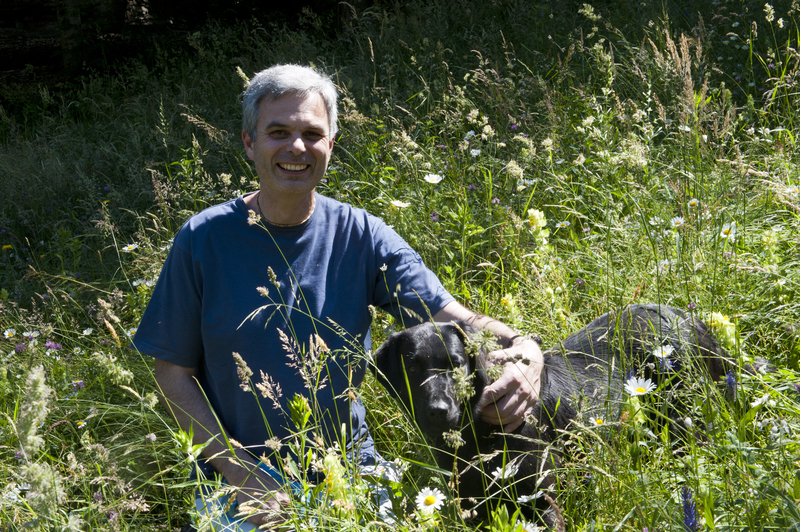 Deliciously Vegetarian & Spiritually Divine: Interview with Chef Pietro Leemann – For The Love of YOGA and all things nice! Mr. Pietro Leemann. Over our conversation over the phone for about half an hour, he enthralled me with his philosophy about food and nature and how beautifully he has managed to blend his passion for cooking and spirituality together. 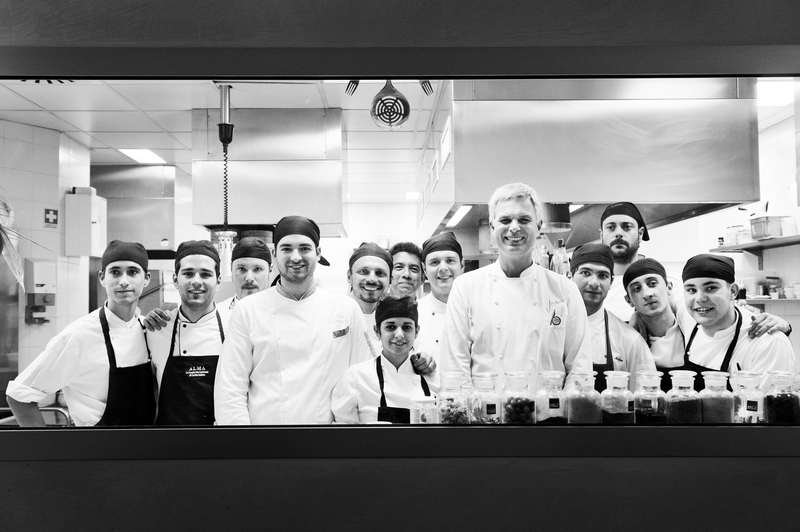 Ben and I visited his restaurant Joia in Milan in January 2016 and instantly fell in love with everything we saw there, the interiors, the menu, the food and the staff. Now, after personally talking to the man who owns and runs the place, I can confidently say he embodies everything that we believe in and inspires us to be ourselves no matter how difficult or bizarre it sometimes feels. Mr. Leemann decided to become a chef at the age of 15 when he tasted a dessert by chef and later his mentor, Mr. Conti Rossini. 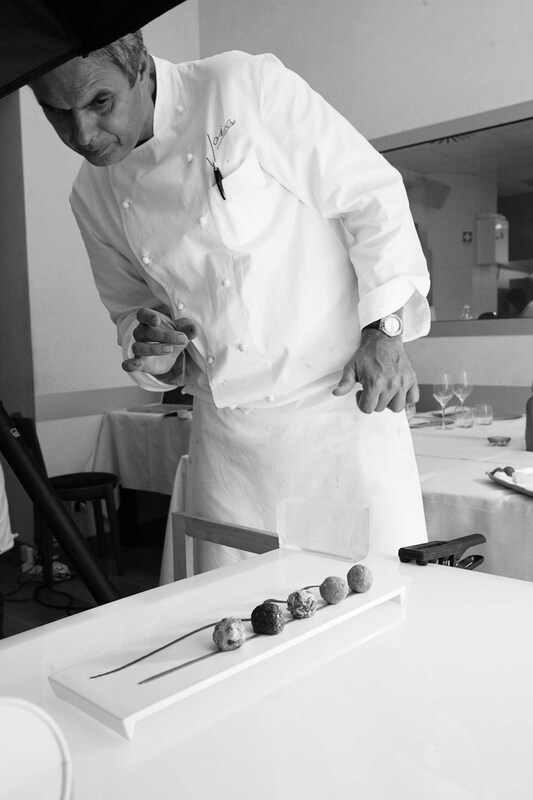 He has worked all over Europe in restaurants which served the highest quality of traditional Italian and French cuisine as well as nouvelle cuisine. He speaks Italian, French, German and English. 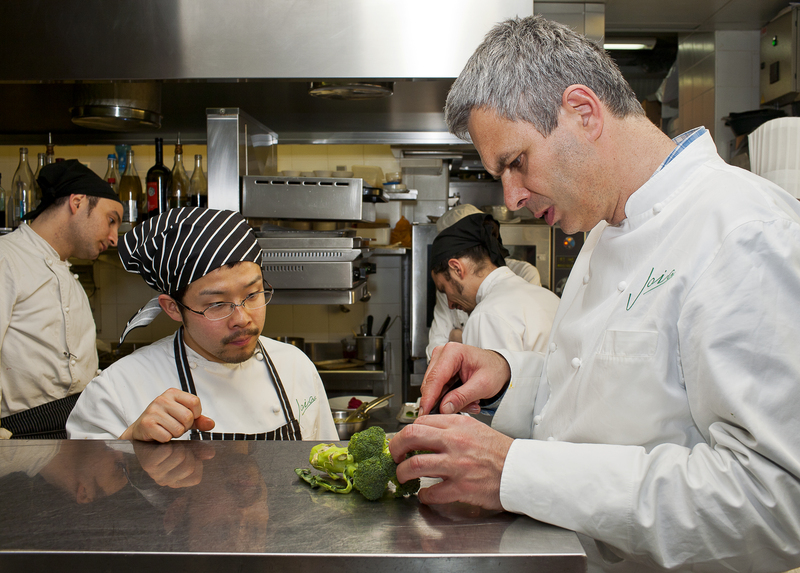 He started his restaurant back in the 80s when being a vegetarian in Europe was a difficult choice to make let alone run a vegetarian restaurant. He, however, believed in what he wanted to do and it soon paid off. 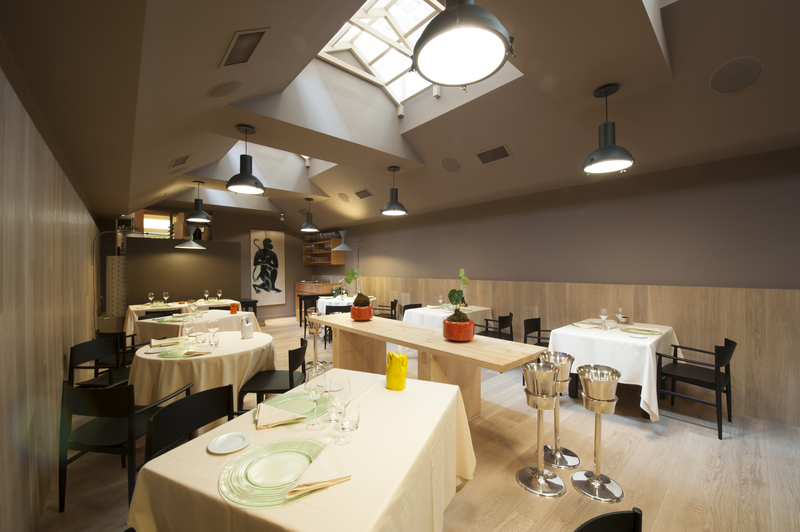 Joia was the first vegetarian restaurant in Europe to be awarded a Michelin star. In his culinary journey he has traveled to Asia on numerous occasions, lived in China and Japan for over a year and learnt Tai chi as well. Today, he is a Krishna follower (vaishnavism) and leads the life of a brahmachari, which in modern terms is about living with a certain set of principles and dedicating your life to the service of your guru (spiritual teacher). In his free time, he also practices yoga. There will be a renewed approach to nature, no longer seen as something to combat and bend to our will as was the case during the industrialization of town and country (which I feel was useless and destructive). Instead, the approach will be to understand and adapt to nature, giving it back its role of mother. PJ: How have you been able to blend spirituality with your passion for food? PL: We should be compassionate not only towards human beings but also towards animals. What we do can make us happy or unhappy and our choice of food is very important. A vegetarian person is a person who makes choices. Especially in the west, out of habit, we do not choose anymore. Somebody else has made these choices for us. Many times the choice is difficult because we are conditioned through our habits. We should be able to choose what we should do. To be free also means to follow a principle. Your attitude should be defined by your principles. Spiritual evolution starts with a principle. Vegetarian is a way to be free. It makes a big difference to the quality of life. In my grandmother’s day, when you went into the chicken coop, you picked out a bird, killed it, plucked it, gutted it, and cooked it. Today instead, our relationship with death linked to food is more distant. We prefer to buy a packaged chicken, and often ignore its real origins. This also means distance from the reality of the facts. Whenever we eat meat, somehow, somewhere, an animal died for us. PJ: What has your experience been like running a vegetarian restaurant in the 80s and 90s? PL: In the beginning when I opened Joia, it was very unusual and strange. But time changed very fast and in Italy more people started becoming vegetarians. Now my work and Joia are doing very well. People in Italy are changing, they are choosing organic and healthy food, cooking themselves at home etc. So it is a kind of revolution where people are changing their mind. Also today because of the internet communication travels very fast and spreads information widely because of which people have more knowledge. More and more people today are becoming vegetarians. PJ: Joia initially had a hard time taking off, did you ever doubt yourself and the whole vegetarian concept? PL: What I have understood in my journey is that, what we believe in, will happen. Joia was very difficult in the beginning especially if I had tried to think about money and economics but the way to do things is to do what you believe in. For 25 years I have been coherent with my choices. Today I am respected by many because I have been coherent and not gone back and forth with my choices and decisions. Of course spirituality has helped me a lot, it has helped me understand what I want and not constantly change my mind. PJ: You came to India for the first time in 2012, can you tell me more about your experience here? PL: India was a very important trip for my spirituality. I went to Kurukshetra, Haridwar and Rishikesh. What I discovered is that spirituality in India is very awake. People pray and meditate easily which is very different from the west where society has become materialistic. If you want to talk about God and spirituality you must talk only to people who know something about it or to a certain kind of people, but the normal society is very materialistic. I also observed that in schools in India, students pray and meditate before studies. This makes studying very holistic. I found this very interesting. PJ: In 2013, you became a brahmachari, so what does that entail? PL: In the path of spirituality it is very important to choose a guru. In the first initiation you are accepted as a disciple and you are given a set of principles, in the second initiation your life becomes more about serving your guru. Everything that I do is in service of my Guru and I invite more and more people in Italy to become spiritual. In Joia, the food is prasad, it is prepared with mantras. People are eating holy food. Food is very important in spirituality. PJ: Does your family relate to your passion for food and spirituality? PL: My family is Christian and they respect my choices. They are almost vegetarians which means that at home we never eat meat but when we go out to visit friends or family they do. So our choices are individualistic. I cannot decide for them, it is up to them to decide their individual choices; that is very important to be spiritual. PJ: From Joia’s menu which is your personal favourite dish? PL: I love desserts. The desserts at joia are very delicious! My favourite dish however, is a dish called ‘under a colorful blanket’. It’s like a very light mousse that has many many layers and you discover different ingredients as you eat it. PJ: And lastly, what do you like most about what you do? PL: Of course I love to cook that’s why I became a cook but what I like is that my food speaks to people and can build a relationship with them.